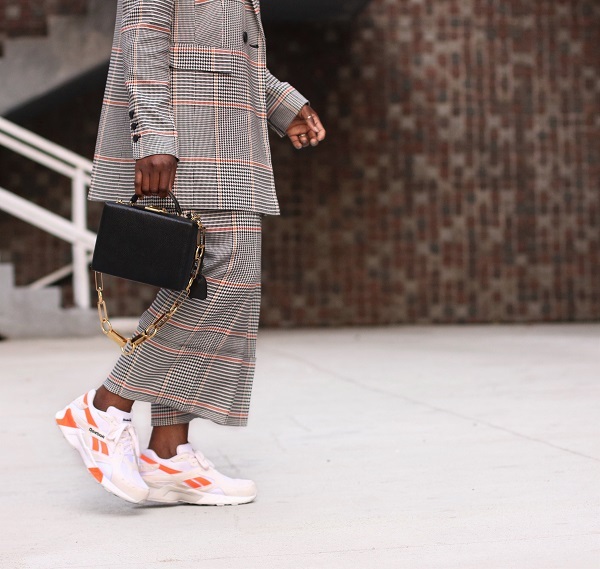 I am a huge fan of 90s fashion, the vibrant colours, the mix-matched prints and of course oversized fit. 90s fashion and music simply holds dear to my heart. So when I was asked by my friends at REEBOK to style and share The Aztrek Sneakers, a 90s icon, I was ecstatic. As a self-coined sneaker-head (I currently have about 15 sneakers in my growing collection which were all added within the last year and a half) I was really interested in the fit and weight. They are lightweight, comfortable, chic and pair well with many of my pieces. First introduced in 1992, The Aztrek Sneaker trends perfectly with the retro, chunky and “dad-esque” approach found in many sneakers on the market.Offered in 8 different colour options, there’s a style for any and everyone. 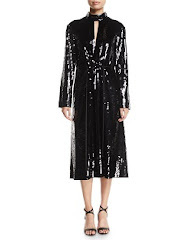 I love the Solar Orange/Black & White style…a perfect style for any fall wardrobe. 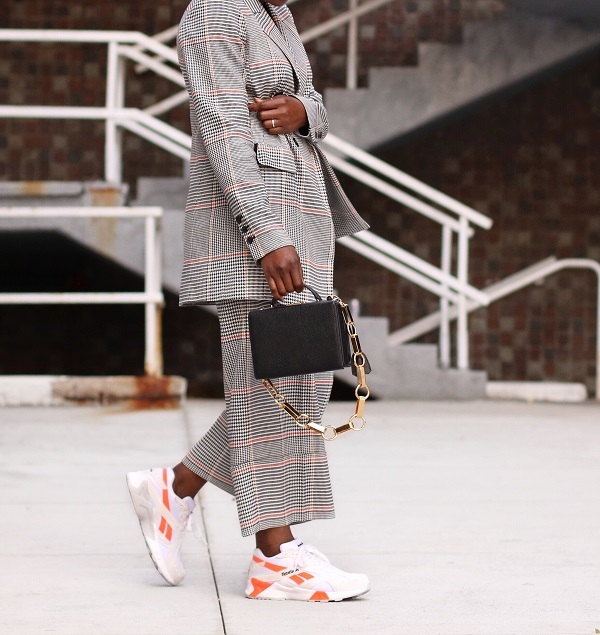 I paired my Solar Orange/Black & White Sneakers with a fall plaid suit, and love the blend of sporty chic, sleek and street-style vibes within the look.